It’s been a minute, but finally Fair Maiden has emerged from side of stage to one again stand front-and-centre underneath the spotlight. The creative vehicle of Ellen Carey, Fair Maiden enchanted our ears a few years back with its self-titled debut, which was filled to the brim with a brand of haunted folk and country pop. The band has morphed somewhat since that album, with new members Harriet Fraser-Barbour (Wireheads, Workhorse) and Hamish Baird joining Steph Crase (Summer Flake) and Ellen as part of the band. Fair Maiden’s newest piece of music is set to be released in physical form in the near future, but before we can clasp that record with both hands, we need to come to terms with it first. Allow me to introduce ‘Coal’. 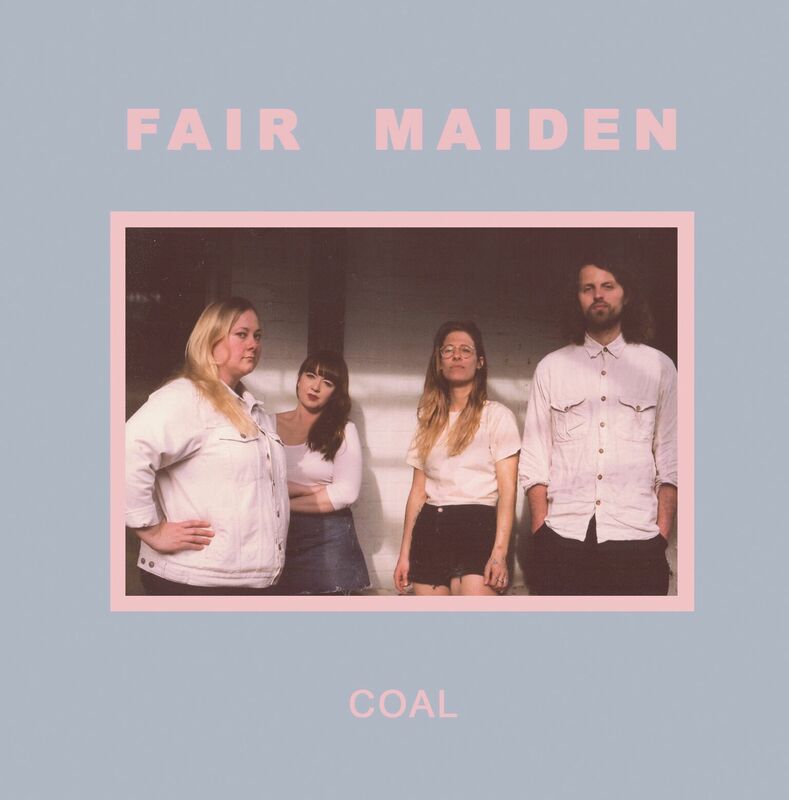 ‘Coal’ brings together Fair Maiden’s signature style – a clever pairing of throwback doo-wop and folk – and blends sweetness and sadness in equal measure. This dichotomy gives ‘Coal’ some gorgeous texture, with the entrancing guitar wooze and vocal exhalations giving life to feelings of resentment and frustration. Ellen’s lyrical confessions shape a story of heartbreak and hurt, a result of emotional manipulation at the hands of another, leaving her dispassionate and resigned to sadness. “I don’t know what you want from me. The pain is everlasting and it comes for free. I’m a mess and you’re dressed in white. Fair Maiden’s music is the kind that sticks with you. It’s the kind of music you’d hear at near-forgotten bars. You know, the ones filled with desperation, cigarette smoke and perfume – scents that seep into your clothes and follow you home, still lingering when you wake up the next morning. The music carries a sweet sadness – the kind that is easy to wallow in. Brown-liquor blues illuminated by a half-moon. A heavy-hearted affliction shared by tragic romantics. ‘Coal’ will be released officially on Friday October 27 as a split 7” with Melbourne’s MOD CON. Purchase the release through Poison City Records.